Innovation is part of AMSlab’s DNA. From its origins, our company showed a strong commitment to the scientific and technology development as the tools for improving processes and developing new and faster, more reliable and more profitable analytical methods. In this field of technology collaboration, technology collaboration ABSciex support unit by developing and testing methods aiming at the improvement of equipment and services. At the same time, ABSciex cooperates with AMSlab providing cutting-edge technology in LCMSMS. At AMSlab we have taken part in different innovation and development projects, on our own or together with other private or public entities, always aiming at providing new analytical solutions in the field of quality control and detection and determination of compounds. Cooperation project among AMSlab, Galchimia, Nanogap, Oncostellae and different research groups from the University of Santiago (USC), the Health Research Institute of Santiago de Compostela (IDIS) and the Technology Centre LEITAT. The aim of the project is the search of new drugs for cancer treatment by developing therapies addressed to different therapeutic targets and combined treatments. Project on experimental development carried out by a consortium of companies made up by: AMSLAB, MESTRELAB, BIOMIG and XENOTECHS, and with the cooperation of two research groups from the USC and the German company G.A.S GmbH. The objective of the project is to develop advanced analytical solutions for the regulatory control of cosmetic and textile products. This project has been granted by the Innovation Agency of Galicia (GAIN) through the Conecta Pyme Programme, co-funded by the European Regional Development Fund (ERDF) and supported by the Regional Ministry of Economy, Employment and Industry. Project’s total budget: EUR 983,549.04. GalChimia, Oncostellae and AMSLab take part in the research project Oncogalfarma, aiming at developing new supplementary therapies for the treatment of cancer-related diseases. Research is focused on the field of inhibitors of the protein-protein interaction (PPI) and nuclear receptors. This project is funded by the Regional Government Xunta de Galicia and the ERDF in the framework of the Operational Programme ERDF Galicia 2007-2013 through the sub-programme CONECTA PEME. Amount of the aid granted: EUR 114,745.76. The project “Light emitting nanomolecules for biomedical diagnostics applications (LENBDA)” aims at doing research on the industrial use of a biomolecules detection system based on high specificity light nano-emitters. The system provides a total solution for detecting bio-molecules in a specific and interference-free manner for which a full functional prototype will be developed consisting in a diagnosis kit for being used in pathology laboratories avoiding the purchase of additional equipment. In its final stage, the project includes a validation of tissue bank for tumour lines. This project is funded by the Regional Government Xunta de Galicia and the ERDF in the framework of the Operational Programme ERDF Galicia 2007-2013 through the sub-programme CONECTA PEME. Amount of the aid granted: EUR 87,664.95. Project to develop an Integrated Software System for Managing Cloud Molecular and Analytical Data and the use of Artificial Intelligence for Supporting Scientific Decisions. This project is funded by the Regional Government Xunta de Galicia and the ERDF in the framework of the Operational Programme ERDF Galicia 2007-2013 through the sub-programme CONECTA PEME. Amount of the aid granted: EUR 111,306.50.  In order to support the internationalisation process, AMSlab has received a grant from the Regional Government through the IGAPE to participate in the Plan for the Promotion of Exports in Galicia (Foexga) 2016-2017, co-funded by the European Regional Development Fund in the framework of the ERDF Operational Programme Galicia 2014-2020, TO3 Achieve a more competitive business sector. A way of doing Europe. The main objective of the Plan Foexga is to foster and stimulate the foreign trade in Galicia and the internationalisation of the Galician SMEs. The expected result is to increase the number of exporting companies and strengthen the presence of Galician companies in international markets.